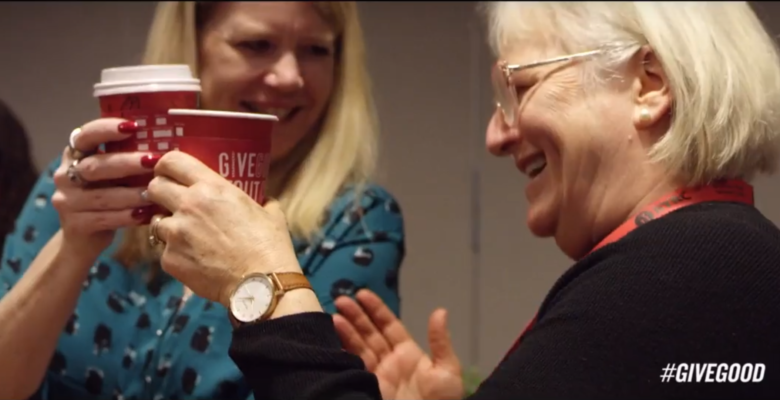 Starbucks Celebrated PCRS with a #GiveGood Event! Have you seen us on TV? 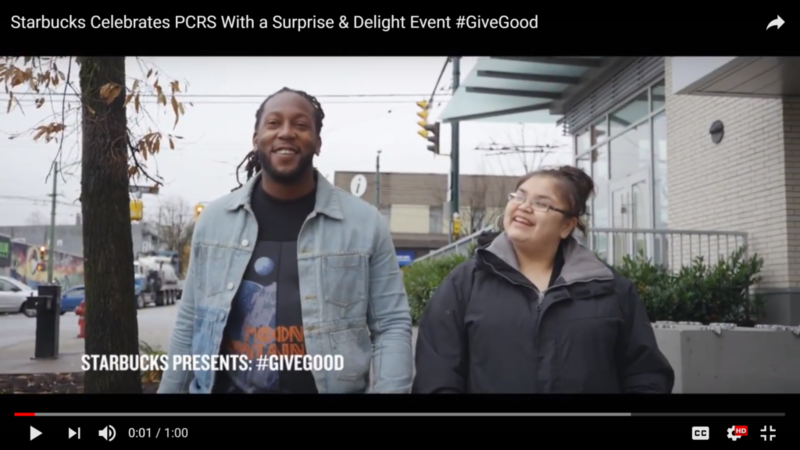 Tyrone Edwards teamed up with Starbucks Canada to #GiveGood to us, Pacific Community Resources Society (PCRS), during the 2017 holiday season. And then they made a television commercial out of it! Check out Tawnie Joe, an alumna of PCRS’s Baristas Training Program, and Tyrone as they showed us how giving good is mighty contagious. We can’t thank Starbucks enough!